Welcome to Kids’ World Learning Center! "As the owner of Kids' World Learning Center for over 37 years, I welcome you to visit anytime! Our CARING STAFF is AMAZING! Our EDUCATIONAL PROGRAM is EXCEPTIONAL! It is always exciting to watch children grow from the infant rooms to the preschool rooms to the school-aged before and after school program! It is even more exciting when these young people come back to visit and tell us about their memories at Kids' World! We believe that each child is special and unique! While introducing new concepts and watching 'lights come on in their minds', we are also building self-esteems to prepare them for the real world! YOU AND YOUR CHILD ARE ALWAYS WELCOME! Hope to see you soon!" 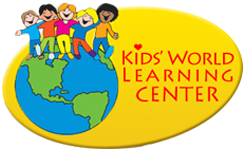 Kids’ World Learning Center’s mission is to provide a loving, supportive, educational environment where children participate in programs that promote individual growth and a lifelong love of learning. In 1979, Paul and Bev Hart founded Kids’ World Learning Center. They opened with four classrooms serving children ages 2-8 years of age. In 1982, three additional classrooms were opened and they increased the ages from 2-11 years old. Then in 1986, additional classrooms were opened to serve the need for infant and toddler care in the community. Since that time, they have served families with children as young as 4 weeks old through the age of 11. KWLC continues to grow, not in physical size, but in the number of graduates who go on to succeed both academically and personally. Many graduates have returned to enroll their own children or to work as teachers!